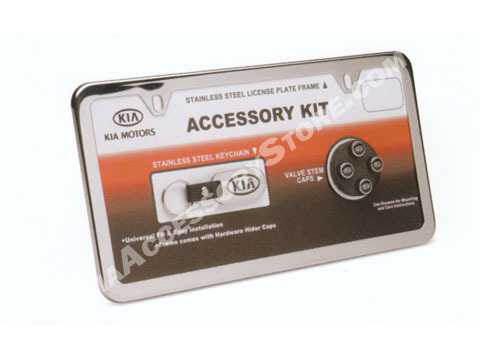 This package contains a polished stainless steel license plate frame, a set of custom valve caps for your wheels and a Kia stainless steel keychain. First class quality kit. Heavy chrome license frame. Like the bonus valve stem covers. Nice touch.